Glittering ornamental moon with moving clouds, bokeh effect. 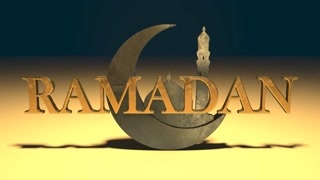 HD graphic animation for Muslim holiday holy month Ramadan Kareem. Hand drawn mosque with glittering moon and stars. Loopable festive graphic animation for Muslim holiday Ramadan Kareem.